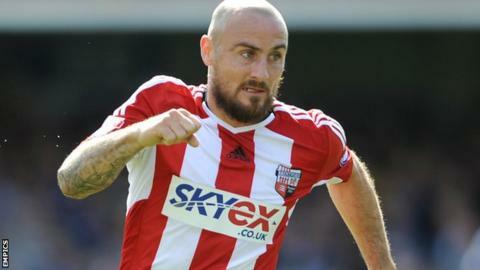 Brentford's Alan McCormack has signed a new contract with the club. The 30-year-old has agreed a two-year deal which will keep him at Griffin Park until the summer of 2016, with the option of an extra year. McCormack, who can play in defence or midfield, has made 52 appearances for Brentford since joining from Swindon Town last summer. "It's great news for the club. Alan's effort has been outstanding," Bees boss Mark Warburton told the club website. McCormack began his career at Preston and has also had spells at Southend and Charlton. "He's a flexible full-back, he can drop into midfield for us and has a fantastic attitude," Warburton said. "It's important the young players see how hard he works and what it means to him."